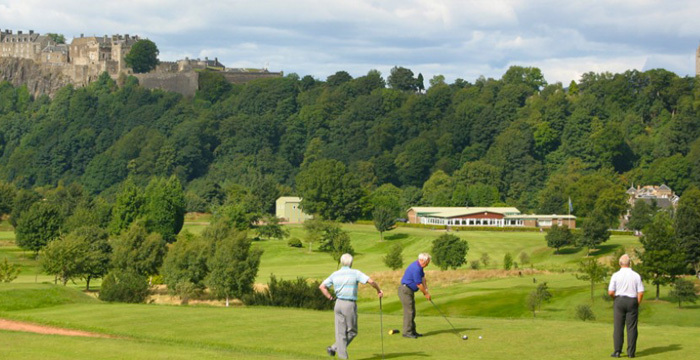 Stirling Golf Club enjoys a superb location within the town with spectacular views from the course to all points of the compass. 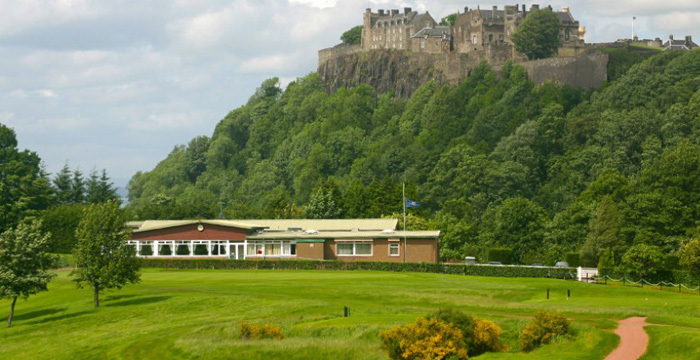 The Clubhouse is the focal point of Stirling Golf Club, with a relaxed and friendly atmosphere. Our restaurant and bar offers one of the best dining views in Stirling and provides excellent food and varied menus, sourced from local ingredients for members, guests and visitors. The facilities include two well-stocked Bars, the Restaurant is open throughout the day for snacks, lunch, afternoon tea, and dinner. The Club has extensive parking and enjoys well appointed ladies, gents and visitors changing rooms with secure lockers and excellent shower facilities. Smart casual attire is acceptable throughout the Clubhouse. In addition to our normal service, the clubhouse can cater for events of up to 100 diners with room to spare for a band. For formal dinners we can expand capacity to 120 people. Our pleasant and helpful bar staff will help you find your perfect tipple from the wide range of wines, spirits, beers and soft drinks available. Please click on the menu below to see the current choice available. Various seasonal specials are also offered to supplement the daily menu. Access to the Clubhouse / Locker Rooms is available from 8am. Last Orders will be 15 – 30 mins before closing. Note: The Clubhouse / Restaurant will open later for larger pre-bookings. The Bar will remain open on Friday and Saturday to 23.00 if numbers are sufficient to justify. NOTE: NEW HOURS START MONDAY 5th NOVEMBER 2018 AND APPLY UNTIL SUNDAY 24th MARCH 2019.